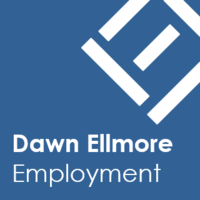 It’s the third time that musician Ed Sheeran has been taken to court for alleged copyright infringement and news has just reached us at Dawn Ellmore Employment, that the latest lawsuit has been settled. The Sydney Morning Herald reported on 9 November that both parties have agreed ‘in principle’ and the case will be dismissed within 30 days if ‘final issues’ are satisfactorily resolved. The lawsuit was launched in January of this year by two Australian musicians who claimed that Ed and country musicians Tim McGraw and Faith Hill (as performers) had wilfully copied a song they had written in 2014. Sheeran co-wrote a song called The Rest Of Our Life for Hill and McGraw’s duets album. The plaintiffs say that this song is a “blatant copy” of theirs, which is called When I Found You. The lawsuit was filed at the US District Court for the Southern District of New York on 10 January, naming a number of writers and Sony Music entertainment as co-defendants. We’ve broken down a brief chronological history of how events unfolded for Sheeran and his co-writers. In 2014, When I Found You was written for singer-songwriter Jasmine Rae. Her album Heartbeat was released in 2015 and one year later, the song made number one on Australia’s country music video chart. It was co-written by Rae herself (although she was not part of the lawsuit), producer Sean Carey and keyboard player Beau Golden. Sheeran’s song was released in October 2017, sung by McGraw and Hill. 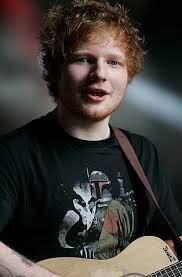 Sheeran was part of a wider writing team that includes Johnny McDaid, Amy Wadge and Steve Mac. After a fan brought their song to Rae’s attention due to its apparent similarities, she showed it to Golden and Carey. After taking legal advice in December 2017, Golden and Carey decided to pursue it through the district court. The claim was complicated by the fact that Rae’s partner works for Sony. His name is Tim Holland and he apparently knew something about the similarities between the songs prior to release. Details of the lawsuit were revealed by The Hollywood Reporter in January 2018, showing the total of 15 entities and individuals as defendants. The plaintiffs sued for $5 million in damages and royalties. They came to this figure due to the money earned by The Rest of Our Life since it was released, including as a single and album in the US, and live performances. Both songs use similar piano-based introductions. The opening nine bars of both songs use the same chord structure. This is repeated during opening sections of the second and third verses of both songs. Phrases are the same length and have similar gapping. Lyrically, both songs carry themes of “marriage, the passage of time, ageing, and the way that a romantic relationship protects the speaker against vulnerability” are similar. Sony were aware of the similarities before The Rest of Our Life was released. Rae’s partner Holland may have provided Sony with When I found You as promotion and it could have then been passed to writers of The Rest of Our Life. When I found You was played extensively in Australia when Sheeran was touring there in 2016. This is the third time Sheeran has faced copyright claims against his work. Last year, he settled a case concerning his song Photograph, and he still undergoing litigation concerning Thinking Out Loud and whether it infringed on Let’s Get It On by Marvin Gaye.